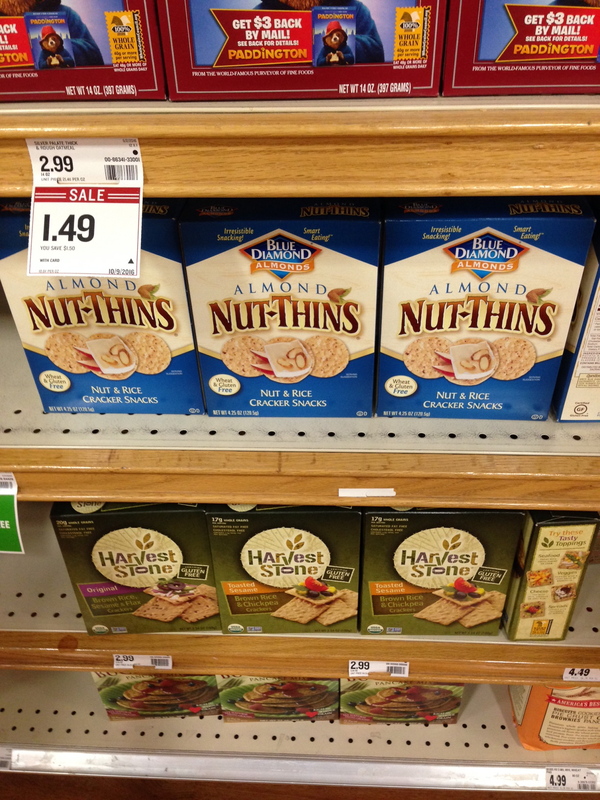 How to make sure your brand stands out – even on the bottom shelf! In the ongoing battle for consumer attention, trying to find the package that really stands out is no small task. Increasing consumer interest in product content, concern over the environmental impact of packaging, and marketing trends have to be balanced against retailer demand and supply chain logistics in an effort to build strong and profitable brands. Even if a package is not the first to catch your eye, it still has to connect with consumers. 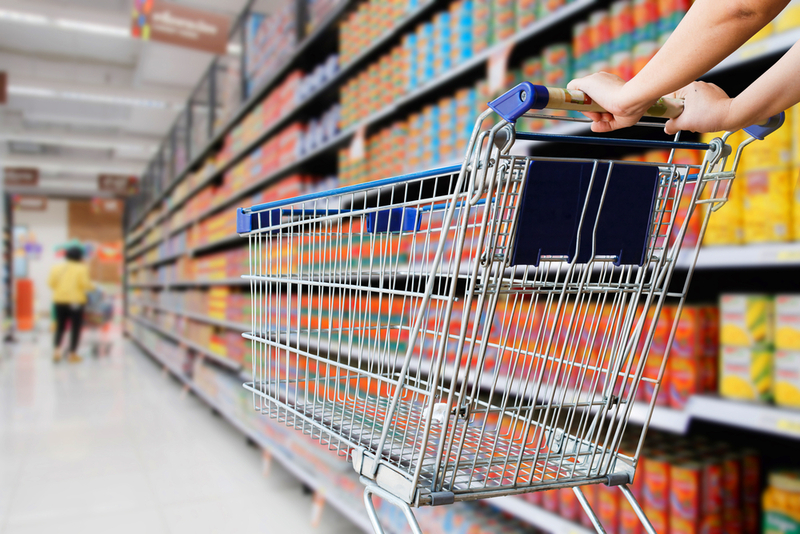 The decision to purchase any product is made at the point of sale – where the consumer stands face to face with the product on the shelf. But what about the products that are not in the average line of sight? If statistics are correct and there are 5 precious seconds to draw in and engage a consumer, by default, the copy and branding arrangement must be easy to read and quickly comprehendible. This cannot be achieved when packaging is crammed full of excess or extraneous design flourishes, messaging that is confusing and competitive, or multiple violators announcing new features, improvements or product images. 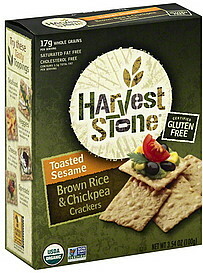 Harvest Stone™ crackers packaging is a perfect example of how to do it right. Sitting on the bottom shelf, in a dimly lit department with tight spacing between shelves and aisles, the packaging doesn’t leap off the shelf in bright, compelling colors but stands out in the clutter of the environment because it is distinctive and calm in its shelf presence, drawing your focus directly down to the package. The structure of the carton is nothing exceptional but the graphics are thought out in a straightforward, systematic manner. Set against a simple green vignette background, the Harvest Stone logo creates a bullseye centered in the face panel. Nested on top of the flavor, style statement and product visuals, these elements create a strong but simple lock up that contains all the key information for the consumer. Colors from the logo are used in designating product style and flavor messaging to reinforce the unit and additionally appear in the content and colors of toppings for each cracke r style. Additionally, the warm green background provides the subliminal cue of fresh, healthy and clean, which supports the USDA Organic, Non-GMO and gluten free statements. Because the package design provides uncluttered quiet space around the brand and product messaging, the communication is direct and distinctive, standing out even on the bottom shelf. At the same time, the consumer is reassured that this product offers great taste while being good for you. Keep decorative elements relative – ask yourself why they are necessary. Keep copy clean and instantly readable – think of your package on the bottom shelf – do you have to bend over to read it? Use colors that are reproducible – make colors work to their fullest. Don’t print dark colors on a dark background and expect them to be legible. Make product visuals appealing – image quality is better than product quantity. Tick Tock – don’t forget you have 5 to 10 seconds before a consumer will stop trying to read your package.